Whether presenting research at a conference, addressing colleagues in the boardroom, or giving an invited lecture, the ability to deliver a polished, professional speech is an invaluable skill. In this workshop, Professors’ Chris & Stephanie Fenner share strategies for success honed from their combined 40 years of experience as competitive speech coaches and consultants. 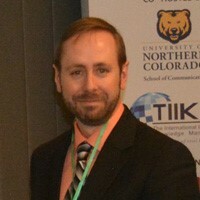 Dr. Chris Fenner is an Assistant Professor of Public Relations and Director of Forensics at the University of West Florida. Dr. Fenner teaches courses in public relations and strategic communication and leads a nationally ranked forensics (competitive speech) team. His most recent publications have focused on the study of communication theories as they relate to Facebook, emerging trends in leadership theory, and the use of mass media by the elderly during hurricanes. Dr. Fenner was a keynote speaker at the 2017 World Conference on Media & Mass Communication, and presented on the need for stronger media coverage of scientific research and theory to combat poor public understanding of scientific issues like global climate change. Stephanie Z. Fenner, M.A. is a Communication Instructor at the University of West Florida and has taught public speaking courses for over fifteen years. She is a highly experienced competitive public speaking coach and speech consultant. Prior to teaching at the University of West Florida, she served as the Associate Director of Financial Aid at Florida Southern College. 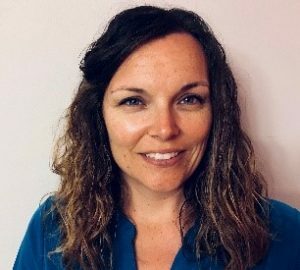 She holds a Bachelors Degree in Business Administration from Southern Illinois University, Carbondale and a Masters Degree in Organizational Communication From Suffolk University.